My printable search games continue to be very popular with both QBoy and XGirl. 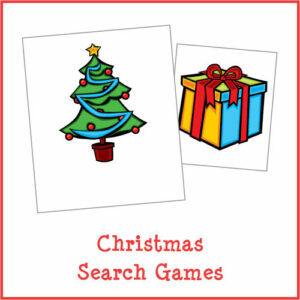 They enjoyed both the Halloween Search Games and Thanksgiving Search Games I created for them, and the Christmas Search Games are proving to be popular as well. 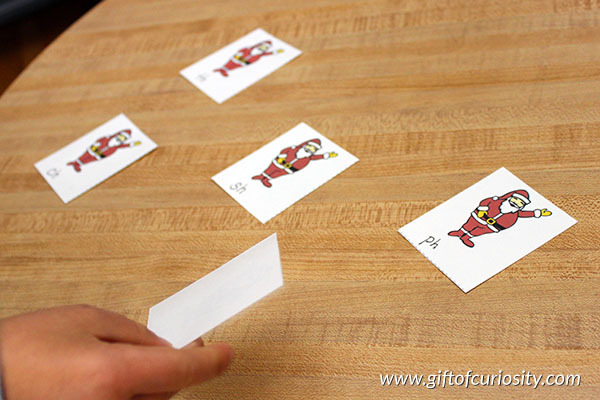 Search games are fun hide-and-seek games that allow kids to practice skills such as letters, numbers, shapes, colors, sight words, math facts, and much more. 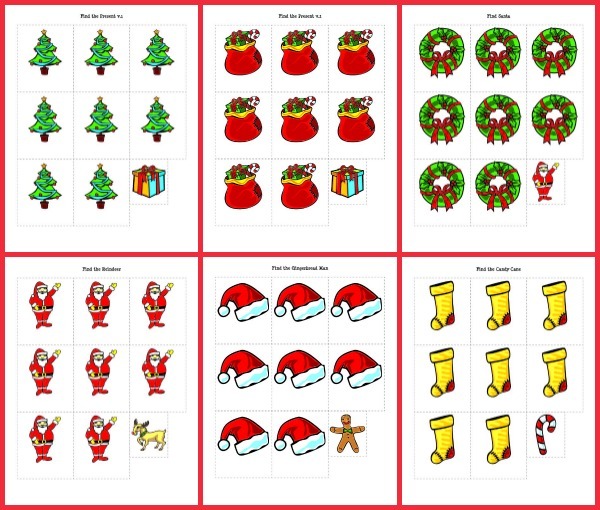 I have now created a fully customizable set of six different Christmas Search Games that I am sharing with you in the hopes that your children will enjoy them as much as my children have. Because QBoy loves reindeers so much – especially reindeers named Rudolph – I printed the Find the Reindeer version of my Christmas Search Games for him. He is a beginning reader, and I decided to use my Christmas Search Games to introduce him to digraphs (two letters that combine together to make one sound). I printed off the Santa cards and wrote a digraph at the bottom of each. After reviewing the sounds made by the digraphs with him, I asked him to hide his eyes. 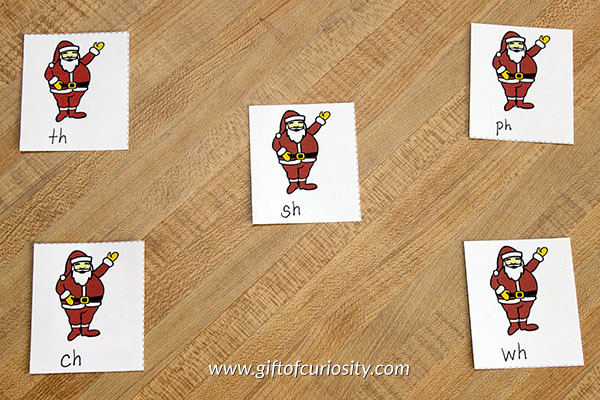 While he was not looking, I laid several Santa cards with digraphs on a table and hid the reindeer card under one. 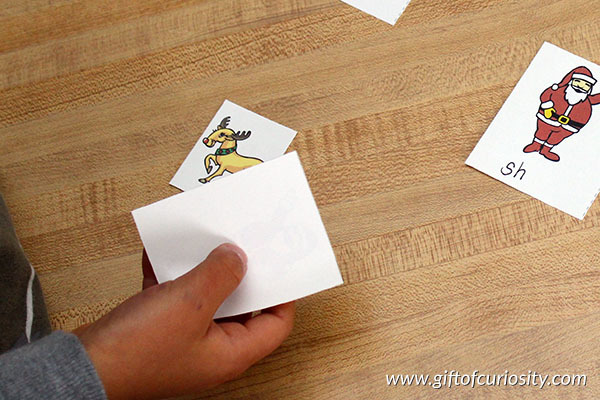 When he opened his eyes, he selected one card by reading the digraph and then turning it over to look for the reindeer. Was he hiding under the “ch”? I have printed the Find the Present version of my Christmas Search Games for XGirl. She is working on learning her letter sounds, so we are using the search game to reinforce the sounds that she knows. 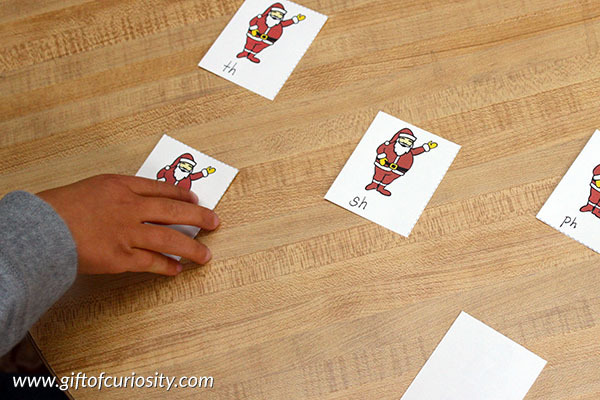 How will you use the Christmas Search Games to help your child learn? 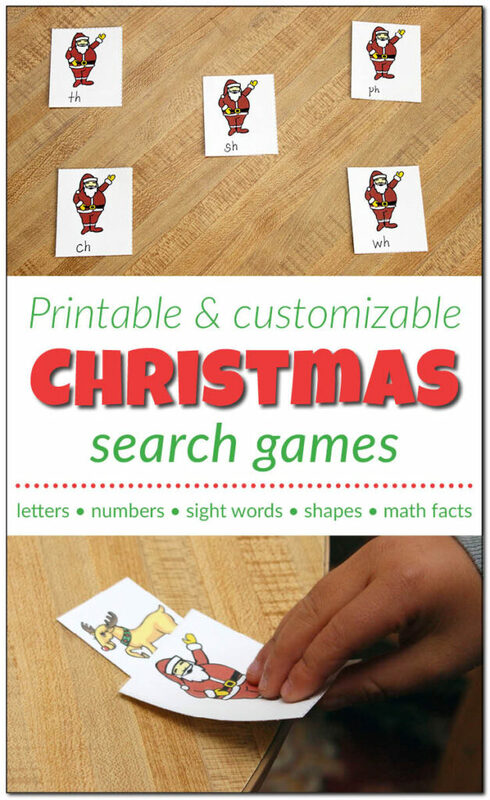 Want a copy of my Christmas Search Games? 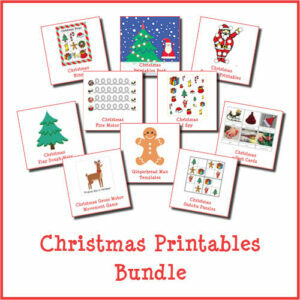 I love all your creative ideas and I know the kids will absolutely love them too! Thanks for sharing them with us, Merry Christmas!